Only 40 hours left in James and Marque's kickstarter! 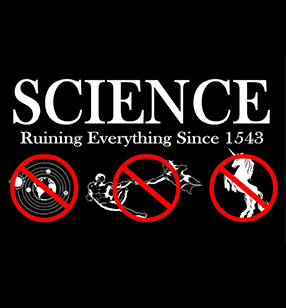 Hey geeks! 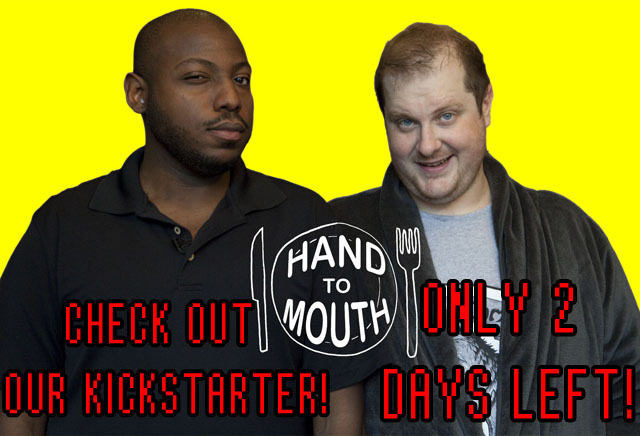 James and Marque's kickstarter cooking show has just 3 more days. "SUPERPALS! We've raised over $10,000 for Marque's new show HAND TO MOUTH! THANK YOU ALL SO MUCH! But don't stop now! 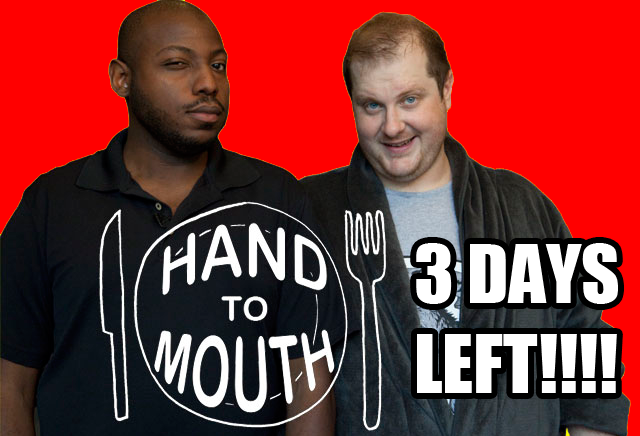 We have THREE DAYS LEFT to make the best possible version of Hand To Mouth we can! Come help us out and ask us questions during our LIVE BROADCASTS streaming from Marque, Jon, and James' new channel: BROKE EATS. We start at Noon PST this Saturday and have events planned all weekend! Cool kids are subscribing BEFORE there's new content to watch."